Why Did You (Not) Write The Book? As an author, you might get asked “Why did you write the book?” and then you launch into all sorts of fancy tales why you were compelled to expand on the topic at hand with enough of a story to make it into a book. It’s a valid question, and the short answer is, “still on the drawing board” (or, rather, in the back of my mind). 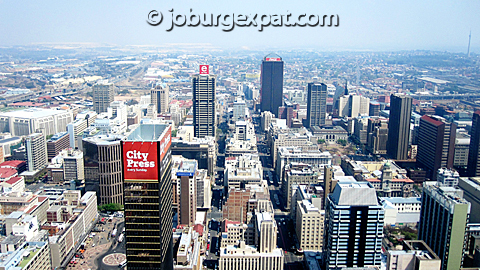 Yes, I launched Joburg Expat years ago and it has grown into a pretty successful and popular blog on all things expat and South Africa. And yet when it came to writing my first book, I bypassed it entirely. I shunned a wealth of material about culture shock (Just Now or Now Now? ), language barriers (What’s a Ballbox? ), juicy dalliances (I’m Having an Affair), adrenaline-pumping thrills (Face to Face With a Great White Shark), and almost-arrests (Narrowly Escaping Jail), and dragged my readers up a mountain instead, all the while regaling them with tales of one particular topic almost exclusively: the lack of a proper toilet. I can imagine some of them won’t forgive me for it. All I can say is that writing a book isn’t easy. And that because of this, you might not want to pick a topic very dear to your heart as your first subject. Don’t get me wrong, I am indeed passionate about Kilimanjaro, and having climbed it forever altered my life. But still, my time as an expat in Johannesburg covered a much longer span of my life, and blogging about it became a big part of it. What if I screwed it up and didn’t do it justice? Also, where to even start? There is so much to write about. Or, rather, there is so much I already wrote about, condensing it into a compact and coherent tale is a daunting task. Seven days (plus seven months of planning) seemed like a much more manageable magnitude. Another reason is that I didn’t want to let Mount Kilimanjaro slip through my hands. It was such a brief interlude in my life, and yet had such a profound impact that I didn’t want to lose sight of it or let the trail go cold. I wanted to tell the story while it was still hot off the press. While I could still translate the intensity that I felt into the right words. While I could still hear the singing. ‘Joburg Expat The Book’ is still very much in the back of my mind. In fact, I’ve even got an outline scratched onto a notepad somewhere. It will happen. It’s just that I didn’t want to use it up for my first attempt at a book. I wanted to save it. Not all authors view it that way. Some put to paper a masterpiece and never write another word. Harper Lee and To Kill a Mockingbird is an example of that. Perhaps she knew it couldn’t be topped, or perhaps she grew exhausted of writing. Not me. I’m just getting warmed up. The first book was a challenge, but it needed to be a doable one. Just like I told you that “Mount Kilimanjaro is the perfect candidate for just such a mid-magnitude type of endeavor,” writing a book about it falls into the same category. ‘Joburg Expat The Book’ is more of my Mount Everest. 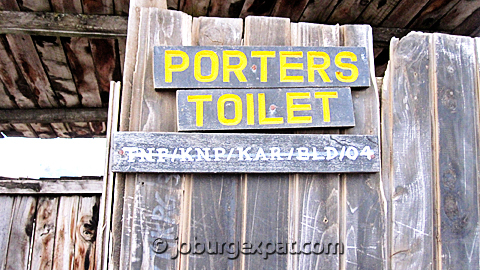 Kilimanjaro Diaries: Or, How I Spent a Week Dreaming of Toilets, Drinking Crappy Water, and Making Bad Jokes While Having the Time of My Life is available from Amazon. Hi, Eva. I did a blog post on your book. Hope you enjoy it!